A lot of things were changed in phone technology since Graham Bell as you can see. Wires and handsets are gone. Radiophones came. But they were still landline. Then “Mobile Communication” era started. From Nokia 5110 and Ericsson A1018 to iPhone5 and Galaxy S3. First mobile phones were more dangerous than now about radiation. And they had more toxical materials. New generation of mobile phones there are less toxical materials. Aluminium, plastic and glass are favourite in production. But there are toxic chemicals in mobile phones still as bromine, chlorine, lead and mercury; because of indispensibility. But which phone has much more toxic chemicals? Which phone is more environmentalist? 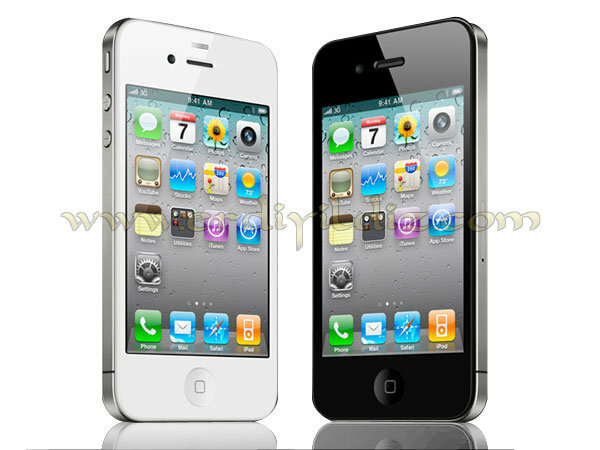 iPhone 5′s button area’s, motherboard’s, processor’s and case area’s toxic chemical ratings is up. 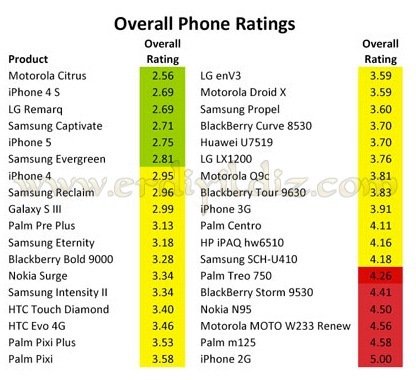 iPhone 5 gets 2.75 point and stays in “green zone”. 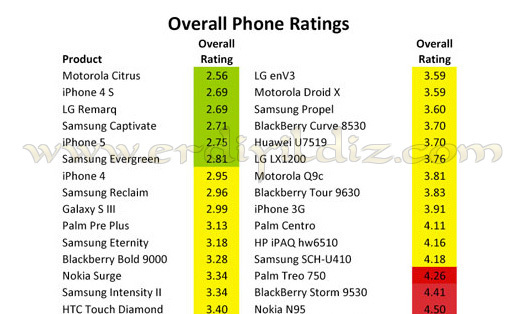 And iPhone 5’s biggest rival Galaxy S3 got 2.99 point and stayed in “yellow zone” at the back of iPhone 5. My phone, iPhone 4S gets 2.69 point and stays “green zone” and becomes the 2nd most environmentalist phone. 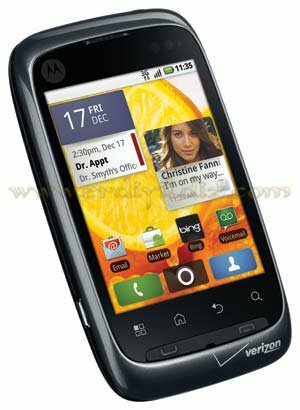 Palm Treo 750, BlackBerry Storm 9530, Nokia N95, Motorola MOTO W233 Renew, Palm m125 and iPhone 2G are in “red zone”.